I am so grateful and excited to be serving as the pastor at Manchester United Methodist Church. Though a Michigan native, I came to Manchester after several years in Texas where I received a bachelor’s degree in Mechanical Engineering from Texas Christian University and a Master of Divinity from Perkins School of Theology. My wife, Jennifer, and I were married in the summer of 2015. Since then, we have adopted a senior dog named Buddy and delight in spoiling him to no end. 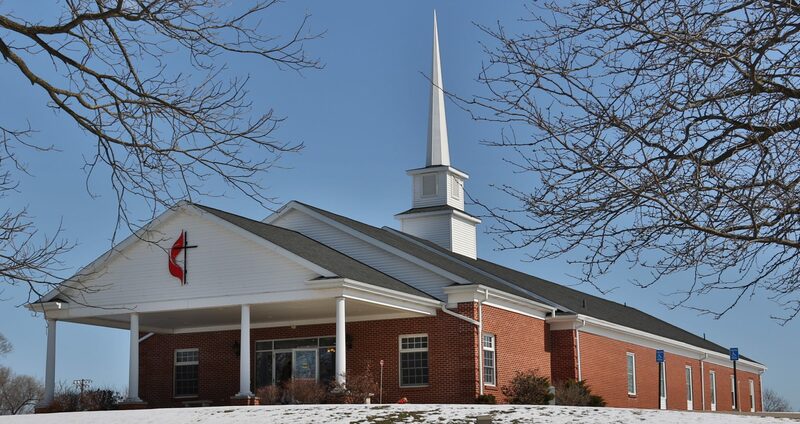 We are so thankful to be a part of the loving and welcoming community at Manchester United Methodist Church! I am passionate about creating opportunities for all people to experience the transforming love and grace of Jesus Christ. I’d love to connect with you at any time via email (pastordillonburns@gmail.com), Facebook (www.facebook.com/dillon.burns), or in person at church or in the community! I am the Deacon at Manchester United Methodist Church. I was ordained in 2014 and am a graduate of Garrett Evangelical Theological Seminary. I’ve spent many years as both a volunteer and professional Christian educator. Manchester United Methodist Church has been my home congregation since 1994. In addition to serving as Deacon at Manchester United Methodist Church, I am also serving as the acting Director of Spiritual Formation at the Chelsea Retirement Community. My husband, Gregg Sucha, and I have been married for over 30 years and are the parents of four beautiful grown daughters. I love teaching and storytelling, helping to build relationships, visiting, and sharing the love and grace of God with anyone and everyone! I joined the Manchester United Methodist Church staff in 2014 after the retirement of our beloved jack-of-all-trades, Sandy Smith. I am wife to Todd Ducsay and mom to three teenage daughters. I grew up in Bay City, Michigan and earned a BA in English (writing) from Adrian College and an MA in English Literature from Western Michigan University. An avid reader, my ideal vacation would be a girlfriends’ weekend at a beach cottage. Always willing to help, I am happy to be working where I can be an instrument of God’s love.